With Destiny’s year 2 lacking in content and no foreseeable relief on the near horizon, many are looking to the Division as a similar platform to get their fix. The two games do share a lot of similarities: both are loot centric shooters, both encourage gameplay in small squads, both have a similar mission system with a central hub to return to after each one. Although the consensus around the interwebs has been to look at the two titles as if they were almost interchangeable (besides the 3rd person part of course), there are actually a few areas where the Division may be the more attractive option. Nothing in Destiny compares to the paranoid, watch your back experience that is the Dark Zone. In Destiny’s open world areas you never really get that feeling of being in danger, and have no way of taking part in any “naturally occurring PvP events”. 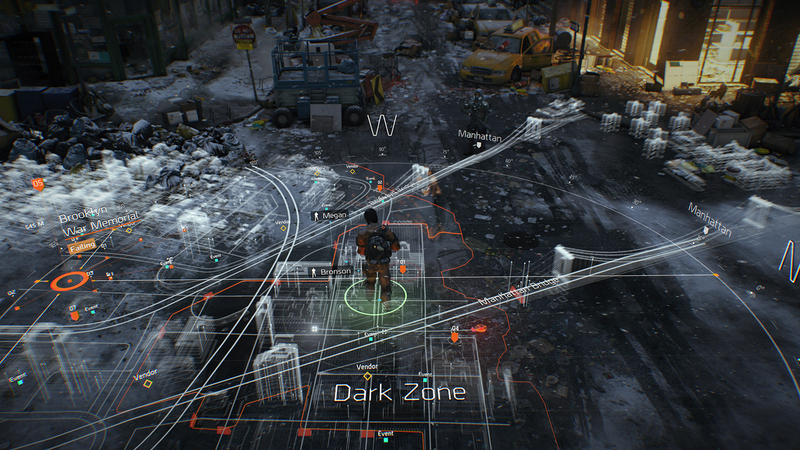 The Dark Zone takes PvP and leaves it entirely up to the community to let it play out. Will you go rogue and start picking off your fellow agents, or will you team up with other players to take out those rogue agents all Wild West posse style. The Dark Zone also offers up opportunities for solo players to get their hands on some of the best loot in the game. The DZ is home to some of the toughest NPCs that drop the best gear and weapons in the game. While soloing them isn’t easy by all means, it’s possible. Solo players can also play the role of the bad guy by waiting for those groups to clear the enemy camps they can’t and then ambushing them for their loot. In Destiny, the top tier loot is very much sectioned off into highly organized events. If you don’t have an organized raid group or trials team, you’re going to get stuck at a low light level. There are a lot of reasons I never felt really invested into Destiny’s storyline. Most of it was the condensing of the story to cards that we had to collect, but some of it was that the tower and my ship never really felt like “home”. We were tasked with saving a city that we never even got to see apart from the few corridors of the tower which had all of a few robots endlessly sweeping in them. The closest we can get to seeing the fabled last city and anyone who lives there is looking down at the painted on skyline below. 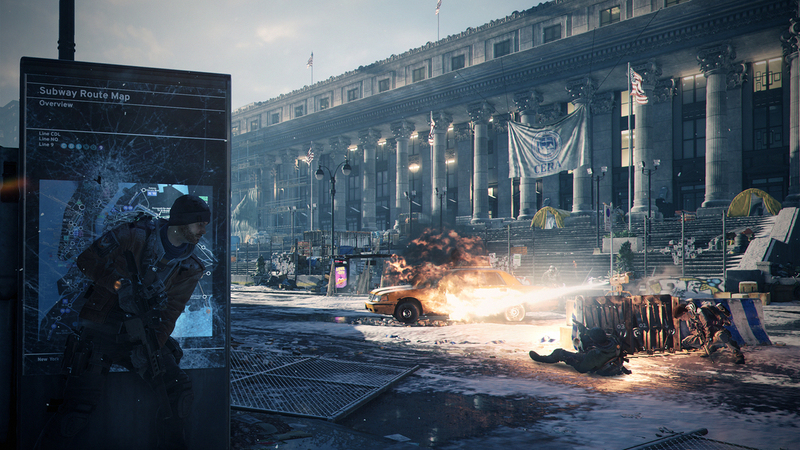 The Division drops you into the city which you have to retake block by block. There are civilians puttering around, robberies taking place, and rats and feral dogs scurrying everywhere. The atmosphere is perfect for the story. Your home base also feels much more a part of you than the ivory tower. You can upgrade the different wings of your base, unlocking new skills for yourself as you go. There is also a stash where you can store your gear you’re not using and a spot to restock before heading back out. And all of this is down seamlessly. No spaceship loading screen fading you into the tower. You walk off the street and into your base. Even though Ubisoft doesn’t have the best track record with DLC, the real difference maker could be in how they handle regular updates for the Division. Bungie has been plagued with controversies on pricing and the long gaps between new pieces of content. If Ubisoft can show that they are committed to the longevity of this game right off the bat, it could help keep players around instead of jumping ship when the next piece of DLC comes along.